Publix grocery stores is having a really great sale in June in which a whole lot of things can be paired to make a dinner or breakfast. You can save over 16.00 with the flyer coupons alone. I took a few photos of my sale paper so you could see some of the highlights of this sale. Look for coupons in the “Grilling Season/Memorial” Publix flyer, offers available 5/24/14 - 6/13/14. that will also save you more. You can find these on the savings rack at the entrance to publix. Some of these great buys are. I Get my Publix flyer sent to my home so I can see the deal in advance . This week from 6/5-6/11 they have a lot of great products on sale so you can make some nice dinners..
Just in case you cant read it here is a list for you, you can save over 16.00 using these coupons. Breakfast is also on sale at publix they have everything you need from coffee to yogurt on special, I also took a photo of this part of the flyer because it has so many wonderful items on sale for breakfast it really is a time to stock up. Also dont forget the BOGOs available this week they are all over the store so be on the look out for them here are some from the paper that I found. This is all just a sampling of the awesome deals available right now at Publix. They also have a bunch of on shelf coupons that are available while supply lasts. I was provides with a gift pack through Platefull co op and General Mills in order to do this post but my opinions are my own. Everyone knows that Publix is my favorite place to shop because shopping their is a pleasure. 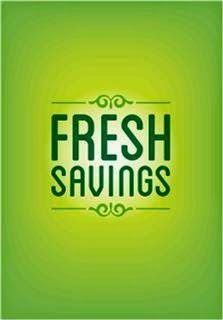 You can find deals and sales info here at this link for Publix .